Are you visiting the Adirondacks and are in need of ideas on where to go, and what to do? We'll keep working on this informational page for you, stay tuned. Stone Bridge & Caves in Pottersville, Exit 26 off the Adirondack Northway. Ski Bowl Park in North Creek, Mountain Biking, hiking, swimming, tennis, basketball, covered pavilions. Loon Lake Beach in Chestertown, Minerva Beach in Minerva, Hague Town Beach on Lake George. Loon Lake Marina for Boat Rentals. Raft The Hudson River with River Guides located in North Creek, & North River. Guided Fishing Trips with Rustic Homested, and Fraiser Guide Service. 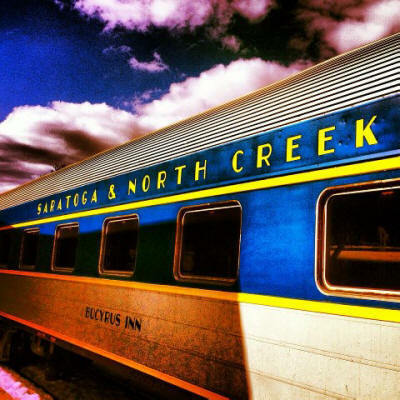 Saratoga North Creek Railway for Scenic Adirondack Train Rides along the Hudson River.